An application walkthrough is used to make the user acquainted about how an application works just by looking at it. 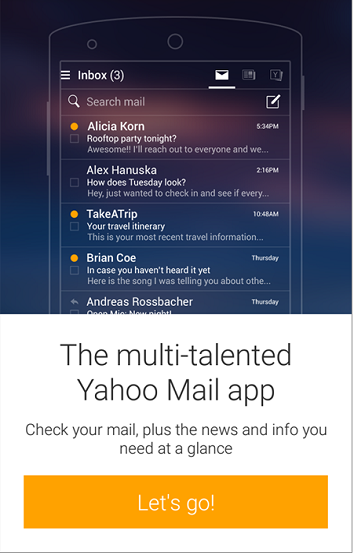 The above walkthrough uses thumbnails of different features of the application. In the above walkthrough pattern, image occupies the whole length and width of the screen. Buttons and text are used on the image. In the above image, vertical slider is used to display the walkthrough / tour of the application. 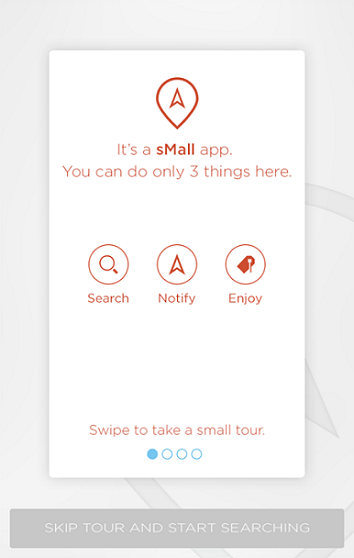 This walkthrough pattern with a simple and clean UI help user to get a quick idea of the application. In this pattern, the line diagram of the device and the content looks very sleek and nice.